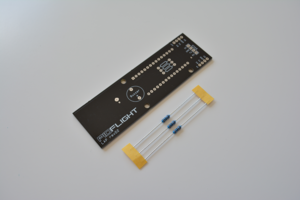 This page details all the information required for building your own PIDflight Lap timing device using the most recent REV02 PCB — designed specifically with easy multipilot connectivity in mind. 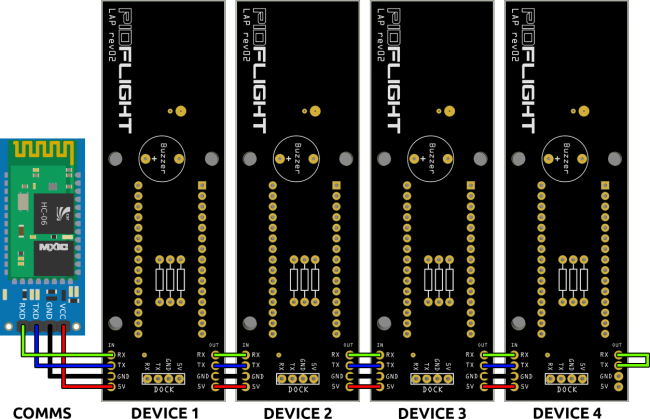 The following is a connection diagram linking 4x REV02 lap timing devices with a communications module such as a HC-06 Bluetooth module OR a DT-06 WiFi module. 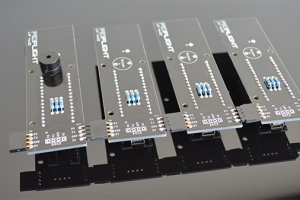 NOTE: The last device (‘Device 4‘) bridges the RX and TX pins on the ‘OUT‘ pins to loop back and complete the serial link chain. 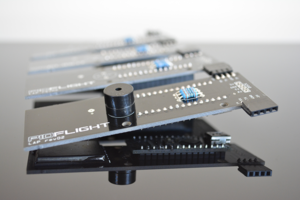 Please use this firmware if you are using the original PIDflight PCB or have built your own using the published PIDflight schematic. 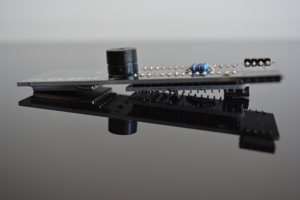 Please note the Bluetooth TX/RX must be disconnected from the Arduino Nano to flash the firmware successfully. 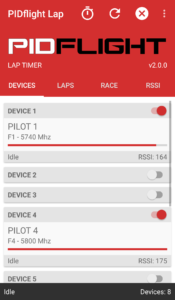 Firmware 2.2.0 2.2.0 Stable Recommended Multi-pilot support for dedicated lap timers. 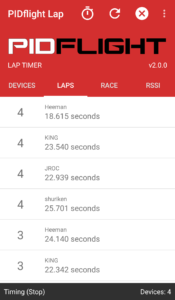 Firmware 2.5.0 2.5.0 Experimental Multi-pilot support for dedicated and virtual lap timers. 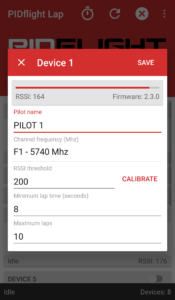 Firmware 2.6.0 2.6.0 Experimental Multi-pilot support with signal strength peak detection. View README for further instructions. Firmware 2.7.0 (2VT) 2.7.0 Experimental Multi-pilot support for dedicated and virtual lap timers with signal strength peak detection. 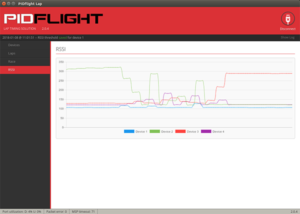 The PIDflight Lap companion app for the PIDflight VTx Lap Timing device and compatible hardware. 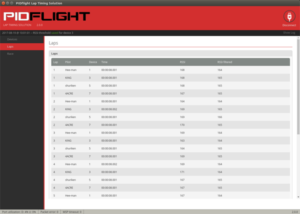 Premium edition is a yearly subscription of US$3.99 and includes all updates and multiple pilot support. 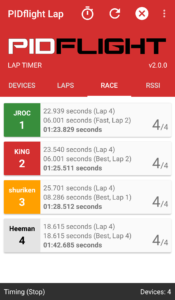 Free edition is limited to display and announce the first three (3) laps for a single (1) lap timing device. 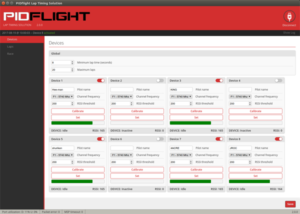 The PIDflight Lap cross-platform Chrome, Windows, Linux and macOS application is provided free of charge.